Rainbow or fog after the rain. Rainbow always will be in the sky after the rain or thunder. Certainly will be good if be the fog after rain in the morning. It would not be bad if be the waves on the sea, normall waves like in GTA V. The pictures just illustrate the idea. Both fog and rainbows could be done with shaders, but I don't know if shaders can be turned on/off by an event like rainfall. 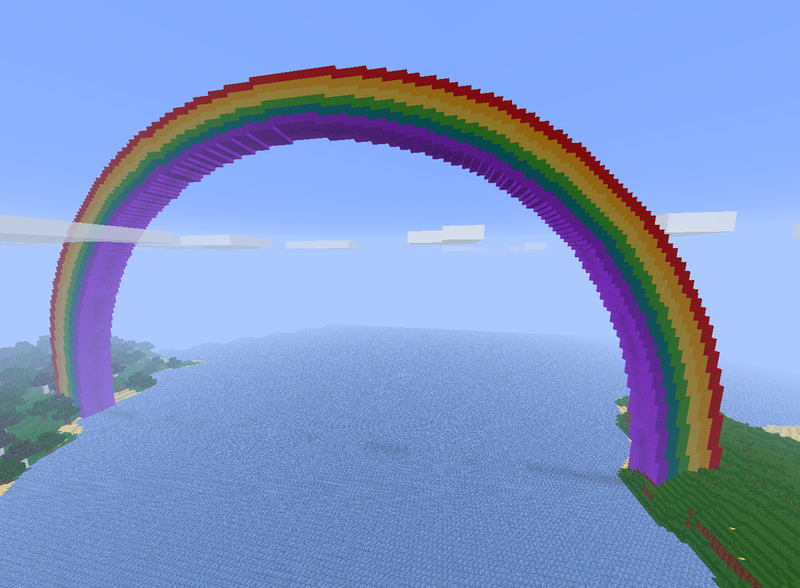 The rainbow would be fairly easy with openGL. If I get some time I will put a test together. The fog could be done by having the cloud layer appear on the ground, ie changing it's y axis value. I could see using the same block that defines the cloud layer to do the rainbow as well that way you can move through it. This would easily open up new possibilities like discovering a leprechaun with his pot of gold that he'll defend to the death or a unicorn. 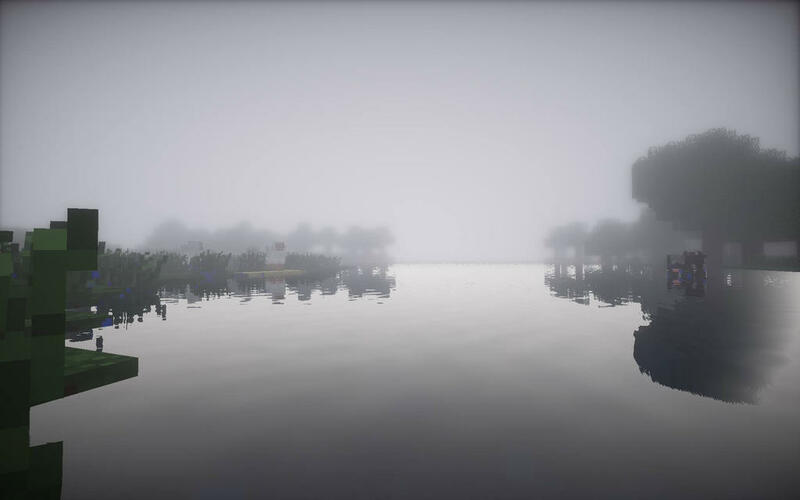 I would like to see it as a server side mod, so there goes the shaders.